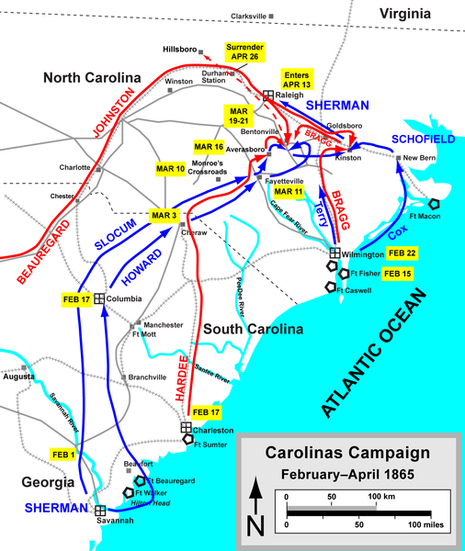 Description: As Sherman’s army advanced into North Carolina, Kilpatrick’s Cavalry Division screened its left flank. On the evening of March 9, two of Kilpatrick’s brigades encamped near the Charles Monroe House in Cumberland (now Hoke) County. Early on the 10th, Confederate cavalry under the command of Lt. Gen. Wade Hampton surprised the Federals in their camps, driving them back in confusion and capturing wagons and artillery. The Federals regrouped and counterattacked, regaining their artillery and camps after a desperate fight. With Union reinforcements on the way, the Confederates withdrew. The Battle of Monroe’s Crossroads (also known as the Battle of Fayetteville Road, and colloquially in the North as Kilpatrick's Shirttail Skedaddle) was a battle during the Carolinas Campaign of the American Civil War in Cumberland County, North Carolina, on the grounds of the present day Fort Bragg Military Reservation. Involving about 4,500 men, it pitted mounted Confederate cavalry against dismounted Union cavalry. It was one of the last all-cavalry battles of the Civil War. 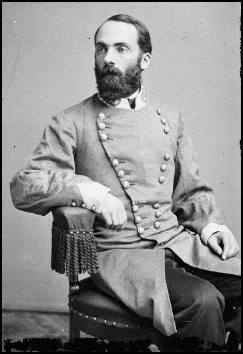 The fighting lasted for several hours early on the morning of March 10, 1865, and resulted in a Confederate victory, the Confederate attack delayed the Federal cavalry’s movement toward Fayetteville, denying Brevet Maj. Gen. Hugh Judson Kilpatrick the honor of entering the town first. The main Confederate assault was at dawn and against a poorly guarded and sleeping Union camp. 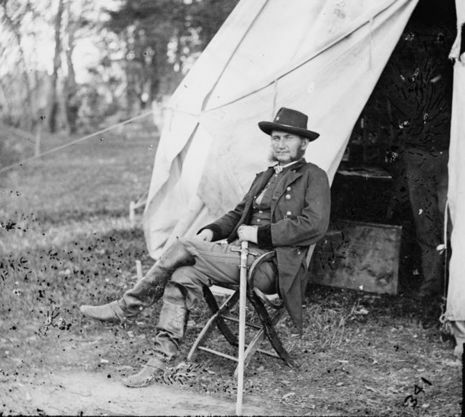 In command of the Confederate forces were Lt. Gen. Wade Hampton and Maj. Gen. Joseph Wheeler, who were operating together for the first time. One of the goals (not fulfilled) was the capture of Kilpatrick himself, using a small elite squadron of hand-picked troopers. Kilpatrick, ensconced with his mistress in a small log cabin near the farmhouse of Charles Monroe, managed to flee the chaotic scene in his nightshirt, hiding for a period in a nearby swamp before regaining his composure and reorganizing his troops. While initially routed, the Federal cavalry soon recovered and counterattacked, eventually pressuring the Confederates to relinquish the camp. Anticipating the approach of Union infantry, the Confederate commanders ordered their troops to disengage from the action in the mid-morning. Hampton’s cavalry finally withdrew in good order toward Fayetteville. The Battle of Monroe’s Crossroads gained the additional time needed for the Confederate infantry to conduct an organized crossing of the Cape Fear River at Fayetteville unmolested by the advancing Federals. With their troops and equipment east of the Cape Fear, the Confederates burned the bridges as Union forces entered the city. The graves of several unidentified Union soldiers can still be seen today in the training area of Ft. Bragg a few miles south of the Normandy Dropzone near the Coleman Impact Area. All visits must be approved by range control.